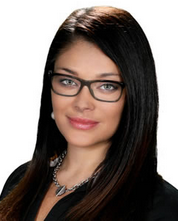 Timeshare Resale Agent of the Month for May 2015 is Lauren Rodriguez of Timeshare Resales USA in Orlando, Florida. Lauren Rodriguez became acquainted with our closing services when she needed help closing a Royal Palm Beach Sint Maarten transaction. Later we closed a Simpson Bay Resort & Marina transaction for her as well, in addition to Westin Kaanapali in Maui Hawaii and Westin Lagunamar Cancun Mexico. We are often the go-to company for agents whose regular closing company does not know how to close a particular resort. We will do the research and make it happen if humanly possible. Lauren has worked for Timeshare Resales USA since 2004, and has been selling timeshares since 2011. A Florida resident for 28 years, she started working for TRUSA part- time in a receptionist/customer service representative position while attending the University of Central Florida. She assisted clients by finding creative ways to modify their listings for quicker sales, and as the years passed, she decided that she was better suited to actually do the selling herself! Lauren’s unique approach is coupled with her ability to speak fluent Spanish, and that bilingual asset comes in handy with certain Sellers, Buyers, and Spanish speaking resort personnel. Lauren has a BA in Business Administration from the University of Central Florida, and is an Active Licensed Real Estate Associate in the state of FL SL3248058. When asked about her vacationing preferences, Lauren stated, “Since most of my family members live in Puerto Rico, that is where I usually travel during my time off! I also enjoy visiting Southern California, and South Florida, my hometown”. She shared with me that she is an expert shopper as well!